Remember that scene in 8 Mile where they’re on their break, tired, depressed, and free-styling in front of a food truck? 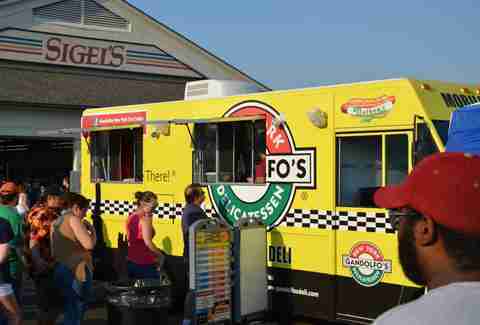 Yeah, that whole movie could’ve been completely different with some of these staple Dallas food trucks. Maybe B-Rabbit would’ve found his confidence sooner with a full stomach of these delicious dishes instead of mom’s spaghetti. Where to find it: It can be found in suburbs around Dallas, but venture Downtown in the Dallas Arts District too; schedule here. He’s just a shrimp po-boy and everybody loves him. 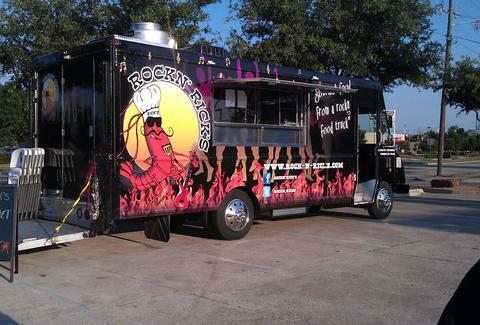 Rockn’ Rick's brings staple Louisiana sandwiches and adds the perfect Texan flare. Filled with grilled shrimp, lettuce, tomatoes, pickles, and red onions, and then drizzled with gourmet remoulade sauce. 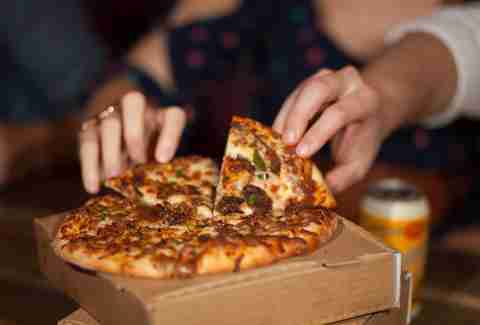 The Durty Dough is “durty” in all of the right ways. Meat lovers get the best of everything with smoked & pulled pork, chicken, brisket, bacon, and Tutta’s BBQ sauce. The Urban Cowboy brings the best of a New York deli to the Lone Star State, without the annoyance of John Travolta. It’s filled with chicken breast, turkey, bacon, pepper jack & cream cheese, lettuce, tomato, BBQ sauce, and hot mayo. 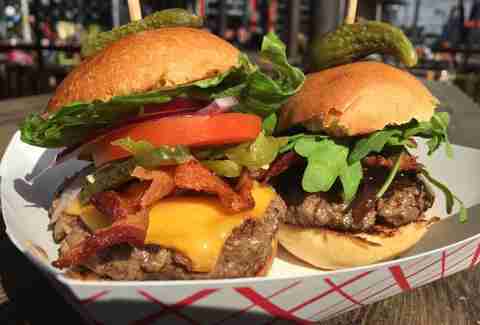 Easy Slider is an easy Dallas favorite that doesn’t slack on creativity. The Sweet & Lowdown brings strawberry jam to lighten up the creaminess of goat cheese and hardiness of Angus beef and bacon. Where to find it: It's usually found in the Dallas Arts District, but keep up with its Twitter page if you’re looking to hunt it down. This is the ultimate feat for anyone, athletic or not. 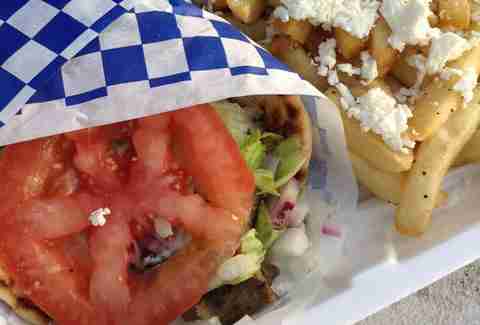 This chicken and gyro combination fills a pita with fresh lettuce, tomatoes, onions, and its own tzatziki and is enough to take you to the Mediterranean with its authentic taste. What you're getting: Chicken soft taco. Pro-tip: add avocado. 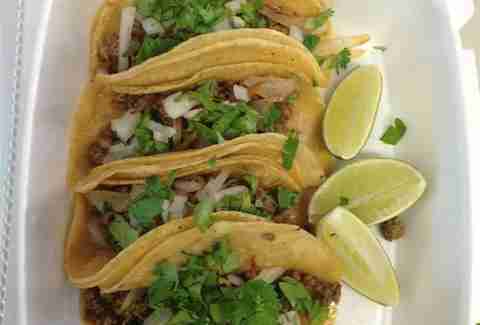 Doing street tacos right all comes down to cooking the meat. Abe’s Flavor Flave lives up to its kitschy name and delivers juicy chicken packed with the right balance of acidity from the fresh tomatoes. Where to find it: It can often be seen at Truck Yard on weekends and in the Dallas Arts District during the week, but look here to find where it is for the day. It’s a personal journey of mine to find great Cuban food. The Guava Tree definitely hits the mark of making your mouth water with description alone, and the food tastes even better than it sounds. 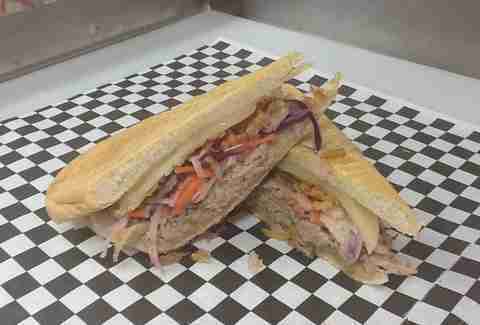 Its pan con lechon takes slow-roasted pork and adds Swiss cheese with its garlic aioli slaw and fried onion strings. Where to find it: You can see the legendary Jack’s Chowhound in front of different businesses in Dallas suburbs, or Truck Yard. The schedule's here. Being an adult doesn’t mean you have to put aside all childish things. 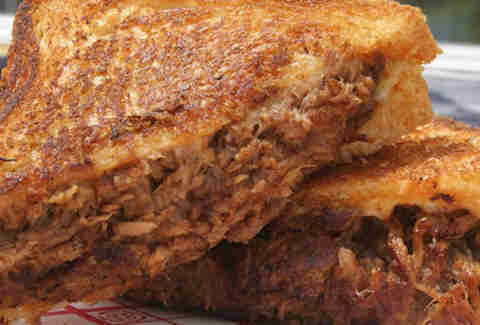 One of the original Dallas food trucks updates the childhood favorite of the grilled cheese with tender pulled pork and creamy Gouda. Where to find it: Upcoming events and appearances can be found on its Facebook page and Twitter feed. Don’t be fooled. 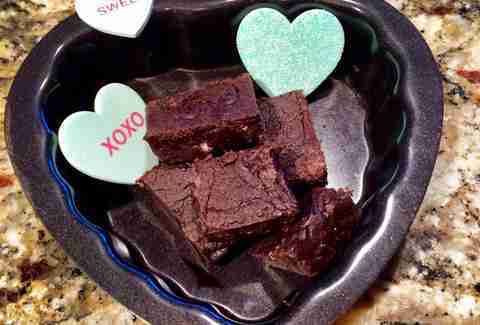 Vegan desserts can taste just as dirty and delicious as other desserts, but you get the added luxury of telling yourself that they’re better for that Texan heart of yours.